Skin Deep Skin Care Center is proud to now offer Fibroblast Plasma Skin Therapy as part of its array of specialized skin services. Not only can this technique be administered in the skin care center safely, but it can be done in the matter of an hour or so in most cases. With our trained aesthetician administering the procedure, you are certain to be in the best of hands. So How Does “Fibroblasting” Work? Fibroblast Plasma Skin Therapy is a procedure that was originally developed in Europe and has been used successfully for years. Plasma, which is an ionized gas, is created via a tiny electric charge using a Plasma Pen designed for this procedure. This ionized gas then reacts with your skin’s surface to create a tiny burn on the surface of your skin the size of a pinpoint. And at the same time, mild thermal stimulation occurs in the deeper dermal layer underneath. Remarkably, the fibroblasting pen doesn’t require the push of a button or stimulator. Instead, the plasma gas naturally reacts with your skin to create the tiny burns leaving a grid-like pattern over the skin surface being treated. As the fibroblasting is performed, the area immediately begins to tighten. And your skin continues to tighten over the ensuing weeks. While the rapid skin tightening response results from the fibroblast burns, the improvements later occur due to collagen stimulation below. Why Consider Fibroblast Plasma Skin Therapy? Fibroblasting is excellent for rejuvenating the skin around the face and neck. 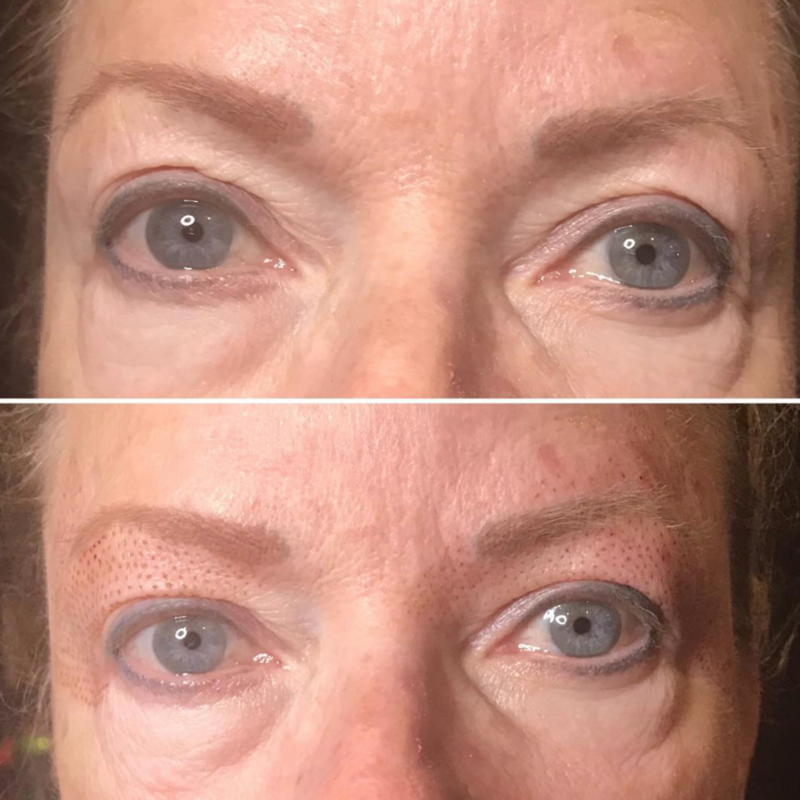 Common areas where the procedure is applied include crow’s feet around the eyes, upper and lower eyelids, forehead wrinkles, and creases around the lips and mouth. Likewise, Fibroblast Plasma Skin Therapy can improve sagging jowls and neck creases. Though the time required varies with the skin surface area and location involved, multiple areas can usually be performed in the same visit. And for many women, a single visit is all they need! varies for everyone to an extent, Fibroblast Plasma Skin Therapy is much preferred to invasive procedures for face and neck wrinkles. And fibroblasting is one of the best techniques available among noninvasive skin care offerings. 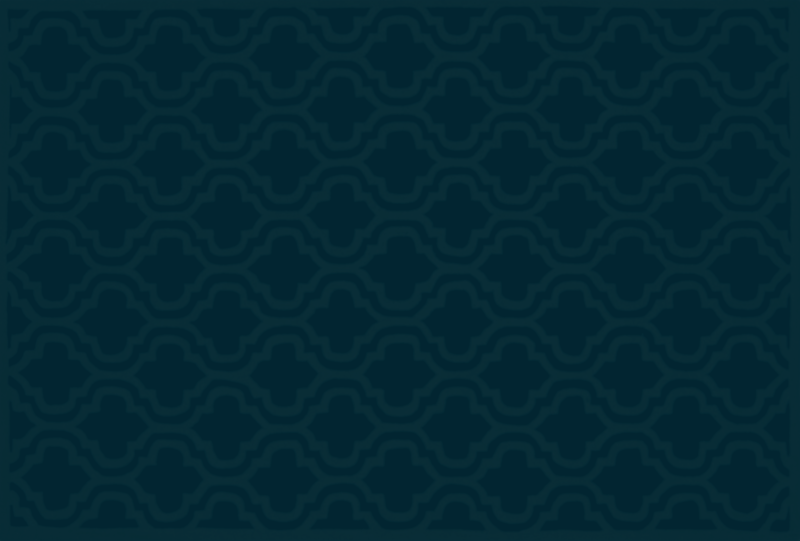 What Can You Expect from a Fibroblast Plasma Skin Therapy Procedure? 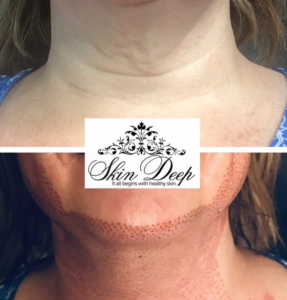 From start to finish, we at Skin Deep Skin Care Center will make sure you know exactly what to expect from your procedure. After cleansing the skin, a topical anesthetic will be applied over the areas to be treated. This allows you to be quite comfortable during the procedure. Afterwards, most describe very slight discomfort and swelling around the fibroblasted areas that last a day or two. Within the week, however, the tiny burns have mostly healed with a healthier and more youthful skin appearance. If you are considering Fibroblast Plasma Skin Therapy, give us a call at Skin Deep Skin Care Center today. This cutting-edge skin care offering may be ideal for you. With our expertise and training, we will be happy to answer any questions you have and offer any advice you may request. And if fibroblasting isn’t for you, we offer an array of skin care products and therapies ranging from the classics to the latest innovations. No matter what skin care needs you may have, we at Skin Deep Skin Care Center will always strive to offer the very best therapies available. Back to School Means Back to Spa!